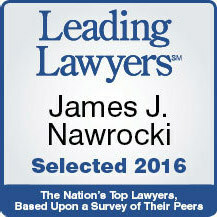 JAMES J. NAWROCKI is a Partner at GWC, where he plays a leading role in the firm’s Workers’ Compensation department. Jim joined GWC in 1995. He has been instrumental in successfully resolving some of the firm’s most challenging workers’ compensation cases. Jim’s natural habitat is the courtroom, where he has consistently litigated highly disputed and complex matters at both the trial and appellate levels. 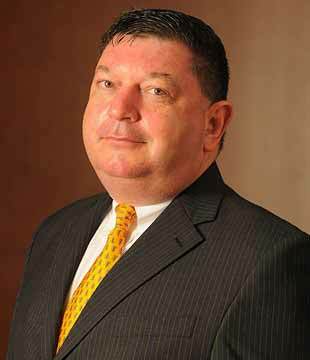 Jim handles cases in Chicago, DuPage County, Macon County, Sangamon County, and Morgan County. He regularly represents clients and their families in the weightiest workers’ compensation claims, including those involving death, paralysis, spinal injuries, and complicated medical causation issues. The desire for total client satisfaction motivates Jim to pursue his craft with persistence and attention to detail. He also takes great pride in training young lawyers at GWC.